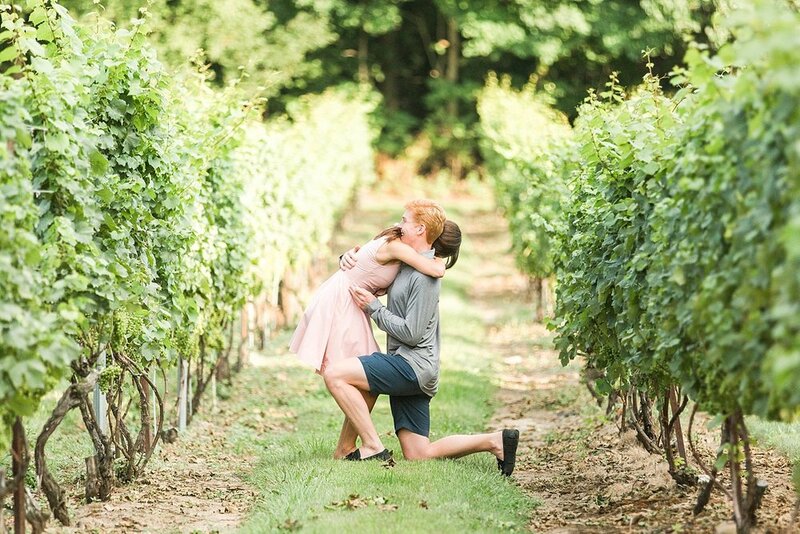 Landon contacted me about a month ago looking for a photographer to capture his proposal to his girlfriend, Kara. We met up soon after to discuss the details of where, when and how he was going to propose. 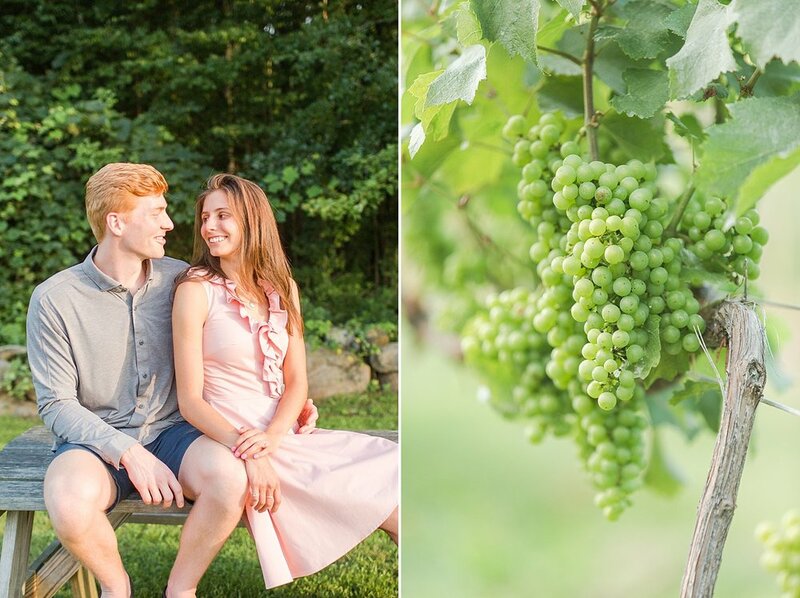 After we created a detailed plan together, Landon decided Charmard Vineyards in Clinton, Connecticut would be an ideal place for him to propose to Kara. He was totally spot on! 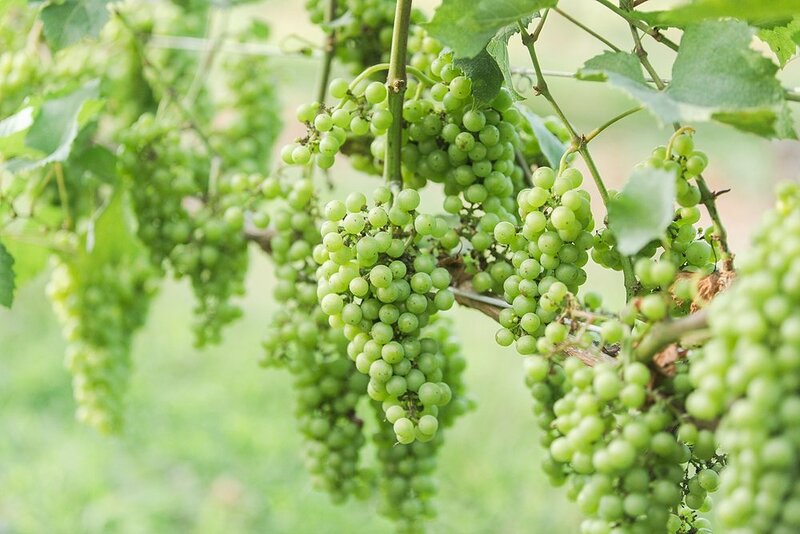 Chamard has beautiful grounds, a rustic charm inspired by the Napa Valley and countless rows of grapevines to walk through for romantic portraits. It's definitely one of my favorite venues to photograph my clients at! Kara and Landon met when they were attending college in Madison, Wisconsin, and moved in together at the start of their junior year. Soon after, they adopted their first puppy! After graduation, they lived in New York City for two years but then decided they'd prefer a calmer life in the suburbs. 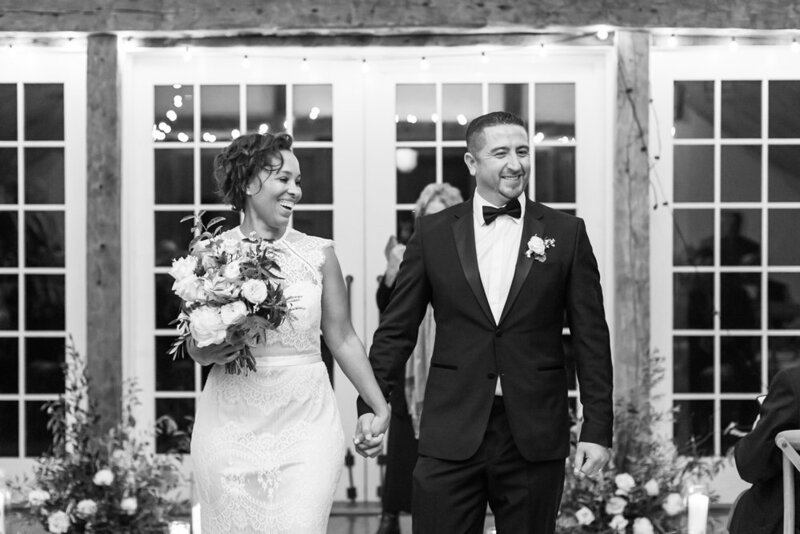 They recently purchased their first home together and settled in together here in Connecticut. Kara's parents live in the next town over, so it's been a wonderful experience for both her and Landon to have family live nearby. 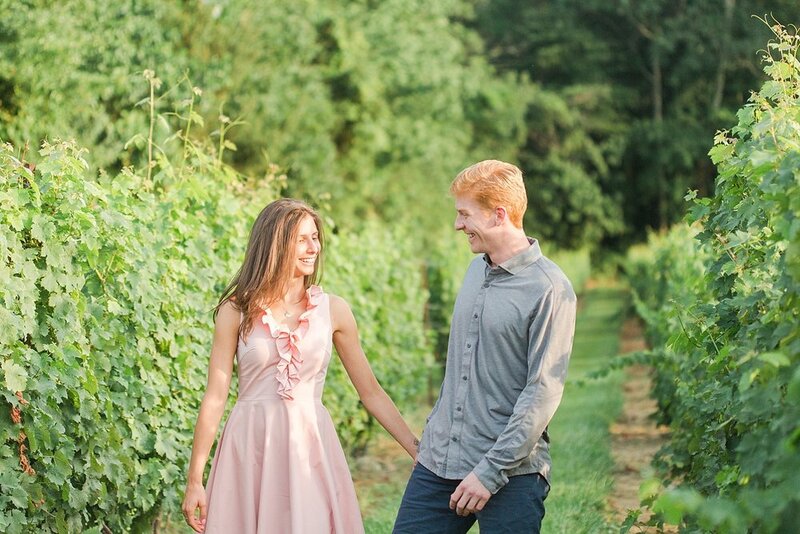 Before the proposal took place, the two enjoyed a romantic dinner at the French-inspired bistro located at the vineyard. 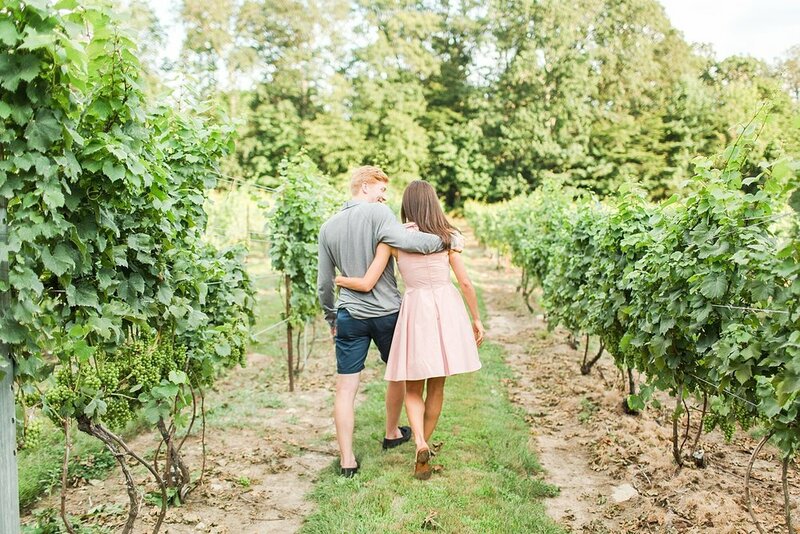 Landon suggested he and Kara go for a walk among some of the grapevines to enjoy the perfect weather before they headed home. As they strolled hand in hand, Landon stopped Kara, got down on one knee and proposed with a beautiful diamond ring! It was absolutely beautiful, and a wonderfully intimate moment they were able to share together. Though Landon had told me Kara was expecting this day to come sometime soon, she was in complete shock when it actually happened! After the initial surprise set in a bit, Arturo and I took them around the vineyard for a portrait session to celebrate their engagement. Though there had been a bit of rain and clouds in the forecast, we lucked out and had beautiful golden sunshine throughout their session. 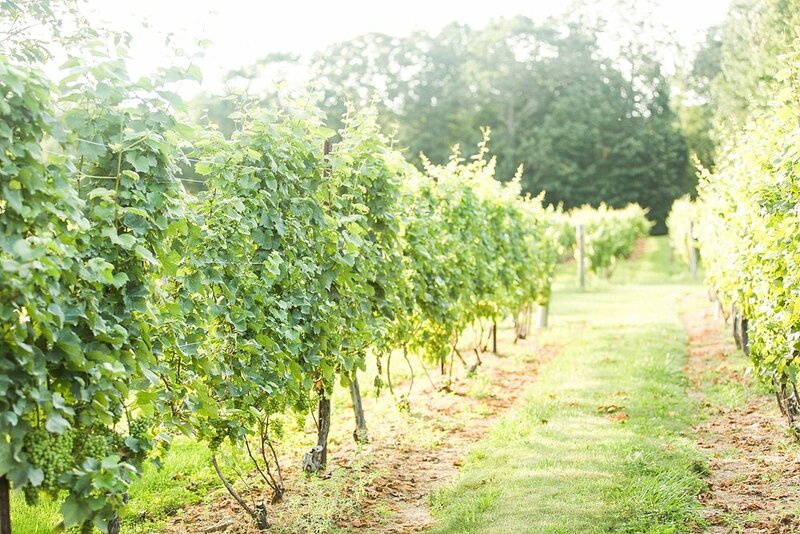 As we were walking around the vineyard, Kara exclaimed, "Today is such a beautiful day! ", which gave us all a good laugh. We couldn't disagree! 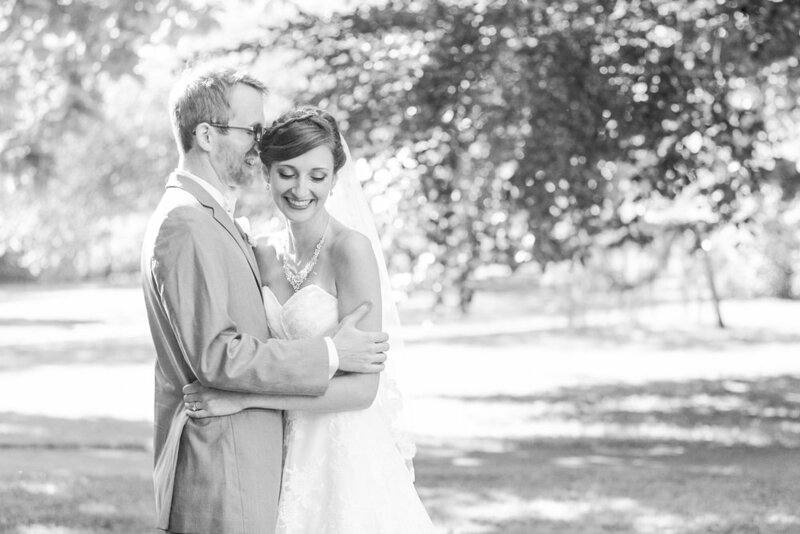 Kara and Landon, it was an honor to document such an exciting event in your lives together! Congratulations to the future Mr. & Mrs! 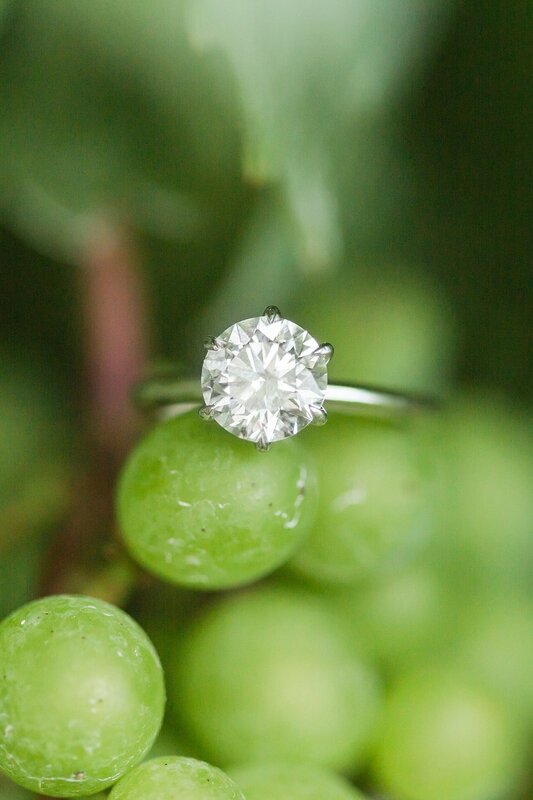 Landon picked out the most beautifully classic diamond engagement ring! 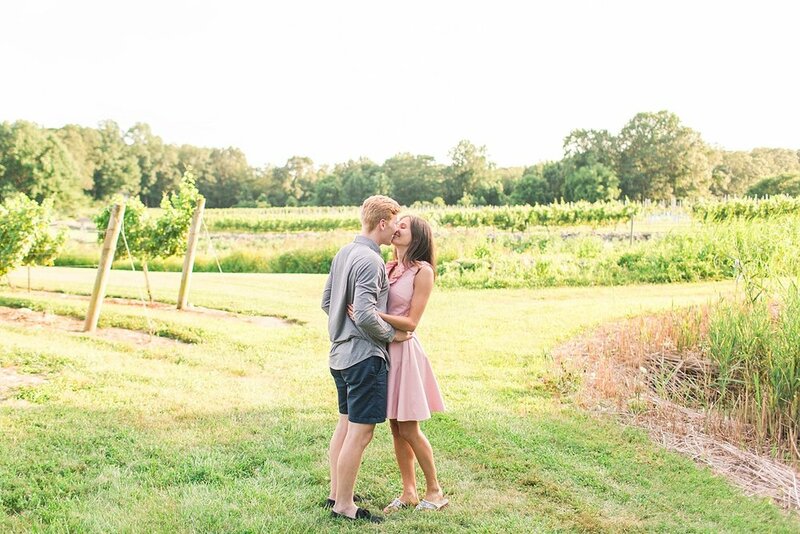 When I first met Landon to chat about his wedding proposal plans, he mentioned to me that he and Kara might be awkward in front of the camera. They were just the opposite! In fact, they were naturals! I love the picturesque grounds of Chamard Vineyards! That golden evening light gave me allllll the heart eyes! These guys are MASTERS of the slow romantic kiss! 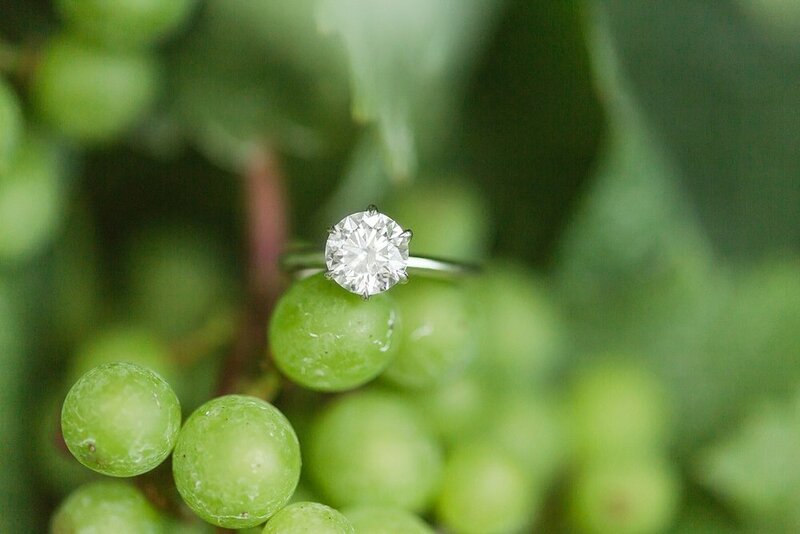 I hope you enjoyed this Chamard Vineyards wedding proposal portrait session! 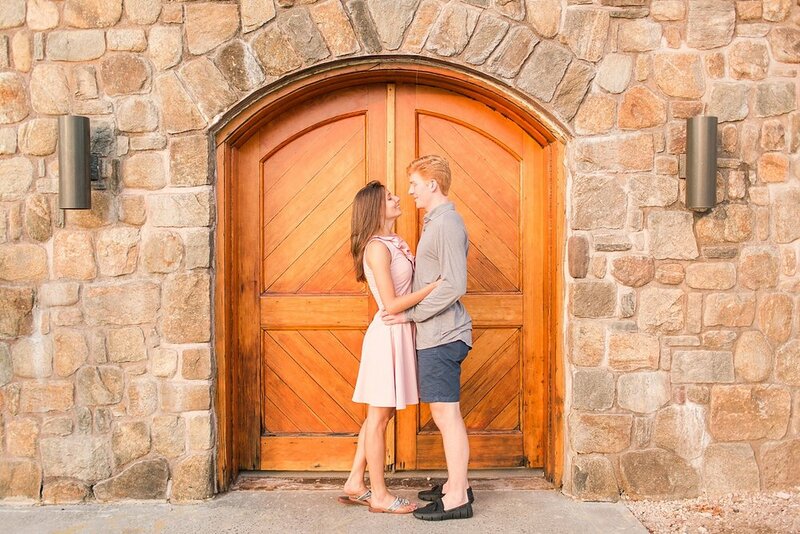 Do you know Kara and Landon? Show them some love by commenting below!